Rescuers south of Indonesia’s Jakarta have discovered several bodies at the crash site of a Russian Sukhoi SuperJet-100, which dropped off the radar during a demonstration flight on Wednesday. No survivors were found at the remote mountain location. 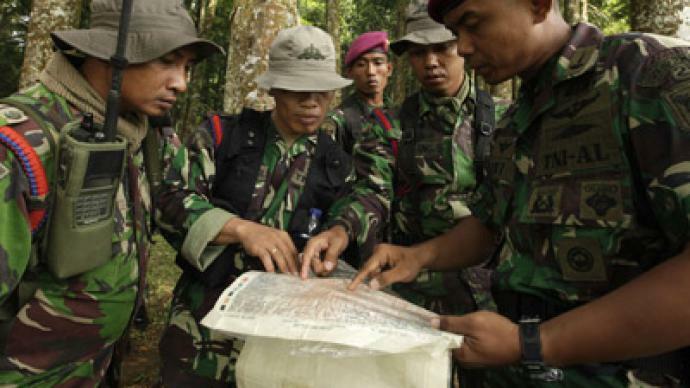 Indonesian officers have attempted to access the steep slope by foot and in military helicopters, but fog and poor weather conditions hampered the operation. “Due to bad weather I could not drop the team of rescuers and had to return back to base,” the pilot of a military rescue helicopter told journalists on Thursday. Experts on board however managed to take pictures of the crash site. Due to the remoteness of the site, bodies will need to be placed in nets and hauled up into hovering choppers by rope. The operation to evacuate remains from the slope is to be started on May 11. Experts say identifying the bodies will take quite some time as they have been badly fragmented. Earlier the country’s National Search and Rescue Agency confirmed they had found the aircraft wreckage. "Rescuers in helicopters could clearly see the wreckage located at the top of Mount Salak," including the blue-and-white emblem of the aircraft maker, says Gagah Prakoso, a spokesman for the Agency. Russia is preparing to send two IL-76 rescue freighters with helicopters on board. “Russia’s Emergencies Ministry is ready to send rescue workers, two IL-76 jets and two BK-117 helicopters and rescue equipment to the crash site,” a representative of the ministry’s information department told journalists on Thursday. The scattered debris of the Russian-made plane was spotted on a slope of Salak, a volcano in Java's west, around the coordinates, at which it disappeared from the screens. Ali Umri Lubis, a spokesman for a nearby military airbase, says the plane was spotted in the Cijeruk area, near Mount Salak, close to the city of Bogor in West Java. The plane went down at an elevation of about 1,500 meters (5,000 feet). ­Indonesia’s Mount Salak has already been the site of several crashes. Prior to the Sukhoi jet coming down on Wednesday, three people died when their training aircraft crashed near Cibunar village, northwest of the Mount. The incident with the greatest loss of life before the Sukhoi crash involved an Indonesian Air Force (TNI AU) jet in June 2008, and killed 18 people. Crashes near or on Mt. Salak also killed seven in October 2003, two in April 2004, five in June 2004 and one in October 2002. 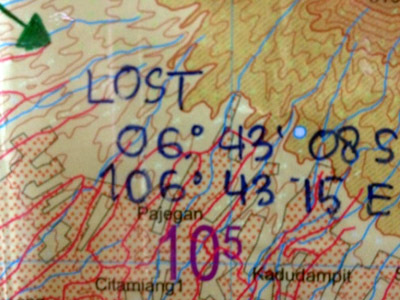 Three helicopters and over 600 rescuers resumed the search operation around Salak on Thursday morning. Previously, Indonesian authorities had been expressing hope that the plane had made an emergency landing. But the country's Emergency Agency chief, Ketut Parwa, admitted that if there had been an emergency landing, information would by now have been received via radio or phone calls. The latest reports suggest there were 48 people on board, including Indonesian businessmen, Russian embassy officials, journalists and the crew members. The first reports had suggested the plane took off carrying 50 people. Later, the number given was 45. 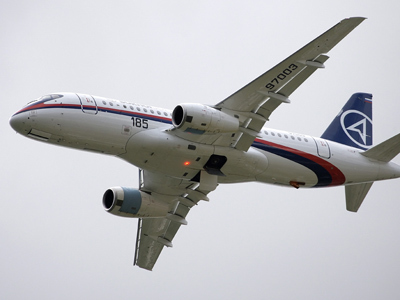 The crew members and all passengers on board the Sukhoi SuperJet-100 were covered by insurance worth US $300 million, provided by Rosgosstrakh Russian group of companies. Relatives of the missing passengers started streaming to Halim Perdana Kusuma Airport in Jakarta on Wednesday night. The shattering news of wreckage being found reduced many to tears. Russia's first all-new passenger jet since the fall of the Soviet Union disappeared from radar screens south of the Indonesian capital Jakarta on Wednesday, 21 minutes into what was meant to be a brief demonstration flight. The craft was taking part in an international air show in Indonesia when it got lost around Salakat about 0800 GMT, after descending to 6,000 feet. President Putin has sent condolences to his Indonesian counterpart after the tragic death of Indonesian nationals on board the jet. He ordered Russian experts to take an active part in the investigation. Prime Minister Dmitry Medvedev has ordered a special commission comprising members of Russia's Foreign Ministry, the Ministry of Industry and the airplane manufacturer to investigate the incident. Russia’s Investigative Committee has opened a criminal case over possible flight security violations. “The investigators will estimate the crew’s flight preparation procedure and the technical condition of the jet before it left Russia,” the spokesman for the Committee Vladimir Markin told journalists on Thursday. 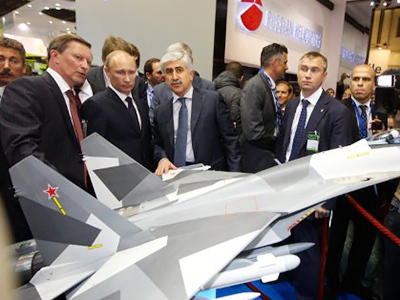 The investigators will also question technical staff responsible for preparing the vehicle for the flight and employees of the Sukhoi Civil Aircraft company, who had any relation to the construction of the jet and its preparation for operation. Indonesian President Susilo Bambang Yudhoyono has announced that local aviation experts will take part in the probe alongside the Russian specialists. According to Ministry of Industry and Trade chief Yuri Slusar sees no need to take the SSJ-100 out of use as a result of the crash.